For some people, Thanksgiving is as much fun as a visit to the dentist. Maybe they hate the effort (and pressure) of preparing the once-a-year meal. Maybe they dread the thought of hearing the same old stories again (and again). Maybe they cringe at the prospect of the post-dinner cleanup. Fear not…we have some Thanksgiving tips to make this All-American holiday a happy experience for adults and children alike. Clothes are an easy way to get into the holiday spirit. How about a pair of turkey socks? You’d be surprised what you can find at your local discount store–a pilgrim hat or an Indian headpiece may be just the thing to get your party going. Don’t leave the cook stranded. The kitchen is a great place to exchange Thanksgiving tips about menus, decorations and the post-feast football strategy. If the kids are interested, invite them to put their special touch on some of the sides. Don’t worry if everything isn’t perfect; this is the day for family, friends and thankfulness. Tip for the Host and Hostess: Nobody likes a kitchen commando. Give everyone a chance to gossip and get involved. It’s Thanksgiving; be thankful that they are all offering to lend a hand. Take a moment at the beginning of the meal to think about what the day means. Remember those who are no longer with you and welcome those who are new to the table. Perhaps everyone can say a word or two about one special thing. You’ll be amazed at the way this one simple activity creates a mindset about the meaning of the day. Don’t forget this Thanksgiving tradition. Our T-Day tip: put everyone’s name in a hat and pick the participants. Don’t forget…this is a make-a-wish activity. Make it important–peace for all or a Super Bowl win. Kids will think they’ve gone to heaven; adults will be right behind. For the grouches at the gathering, they can just munch on their carrot sticks! Football is a huge part of the Thanksgiving tradition. Invite everyone to the yard for a big game of touch or flag. Those who choose not to play can coach, or cheer, or administer some TLC for the bumps and bruises. Forget the championship ring–winner takes home the leftovers! Dining out on Thanksgiving has come a long way over the past few years. 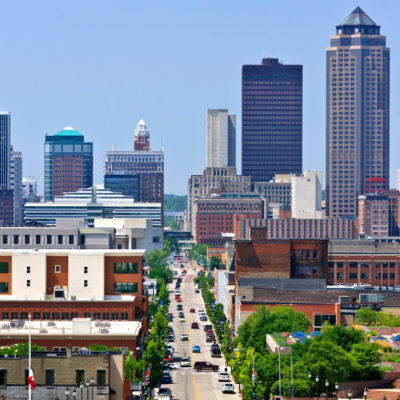 If your work schedule, inability to travel or personal issues keep you in the Des Moines area; if you find yourself daydreaming that it might be nice to kick back and relax this year, we’ve solved your problem. Come join us for a Thanksgiving Buffet from 5 – 8pm. The buffet will cost $6.95 for kids (3 and under are free) and $12.95 for adults. You’ll find all the favorites: turkey, ham, gravy, stuffing, cranberry sauce, salad with dressings, yams, mashed potatoes, dinner rolls, fruit salad, apple pie and pumpkin pie. Our Buccaneer Bay Indoor Waterpark and Poolside Tiki Bar will be open until 10pm on Thanksgiving evening.